She has sooo much personality. What a beauty. Aribelle is the daughter of one of my foundation females that was sold, bred to Simba, to Foggy Bottom Farms in Minnesota. 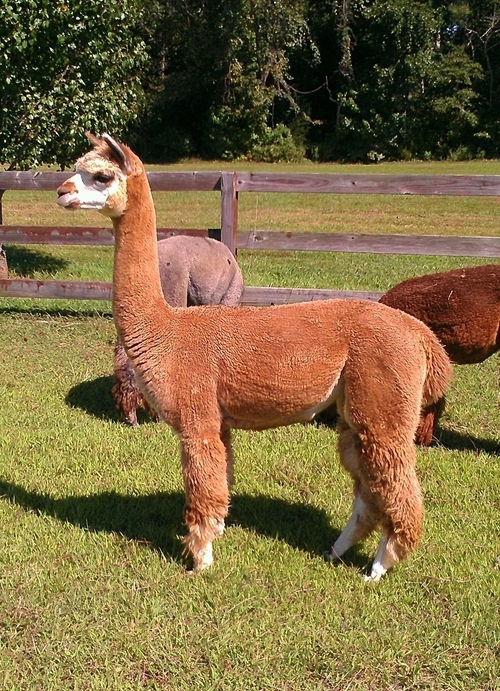 I loved this result so much I bought back the cria. I am so glad I did. She has excellent conformation, a soft uniform fleece that is very bright and oh what a personality. We call her our model and she certainly thinks she is. A joy to be around. 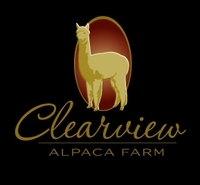 Aribelle comes with a breeding to any Clearview Alpaca Farm Herdsire. We strongly recommend, Andromeda Galaxy. A double line breed on both sides.